A wise man wrote me this week and asked…. “So let me see if I’ve got this straight……. because they said he “lied” about his interaction with “former” NFL player Deion Sanders. and they get to play for Championships. No my friend you did not…. then look no further than the question the gentleman proposed. because they are prostitutes to the NCAA and the rapidly declining American Dollar. Well paid prostitutes, but prostitutes none the less. I can hear the howls from the West Coast now…. and you want to know why, because “they” don’t want to find anything. “They” want this to just all go away…. The “investigators” at the PAC 10 Conference and the NCAA make Hootie Snitch look like Melvin Purvis. So O.J. 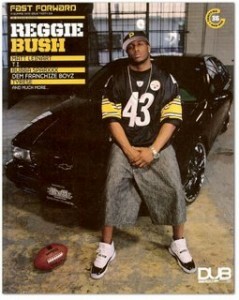 Simpson and Snoop Dog and a host of other “former” athletes and convicted felons can “hang out” (according to Pete Carroll) in the Trojan locker room, football practice and on the sidelines of games, but Mr. Bryant of Oklahoma State can’t have any “interaction” with a former athlete like Deon Sanders? that sports agents have been a fixture in the Trojan locker room during the Pete Carroll era. So where are we today with the NCAA? on the release of their “investigation” into alleged academic fraud by some student athletes at the university. I say “alleged” because the NCAA is afraid to have their “investigation” released to the public for their review and critique. 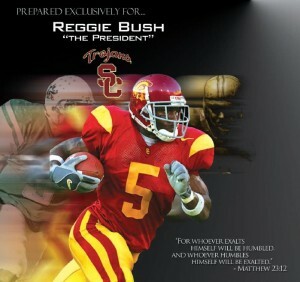 Yet the NCAA is silent on the “investigation” on Reggie Bush and the Southern California Trojans. The University of Alabama sent a strongly worded appeal to the NCAA which was met with even stronger verbiage form the NCAA Committee on Infractions that levied textbook sanctions against the Crimson Tide. The COI called the University of Alabama “a serial repeat violator” with an “abysmal infractions track record” and a “extensive recent history of infraction cases unmatched by any other member institution in the NCAA,” in responding to the textbook appeal, according to documents released by the university on Tuesday. The University of Alabama fired back to the COI statements by saying.. The COI argued that Alabama could have received harsher penalties. This of course is the kind of response we have come to expect from the NCAA dictatorship, isn’t it? Yet, we hear nothing from the NCAA on the “investigation” into Reggie Bush and the Southern California Trojans and when did that “investigation” supposedly begin 2006? So what should be done about the NCAA? in all they do they we will secede from this corrupt organization. 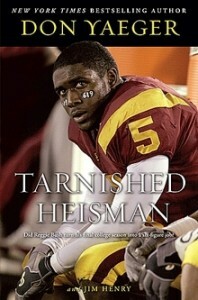 If this is too tough for beginners, then how about this for starters..
tell us about the status on the NCAA “investigation” into Reggie Bush and the Southern California Trojans. You won’t punish them then you ain’t punishing us..
that secession from the NCAA could never happen..
because colleges and universities are afraid they would be outcasts from the collegiate sports community. We would rather listen to a lie and subject ourselves to abuse rather than revolt and cast off a dictatorship. WOW….this is serious. Not that I didn’t already know that. However, I don’t think any university will secede for the obvious reason you stated. Who really runs the U. of Miami? But it must be done…. Miami’s President is Donna E. Shalala…you may remember her as a key member of the President Clinton staff as Sec of Health and Human services. If the money conferences like the SEC left, how many other conferences would follow? We all know the only team in the PAC10 is the EVIL USC. It can and must be done sir…. And, I feel the same actions (specifically speaking out, being brave and courageous, not tolerating dictators) should be considered in larger arenas than just dealing with the NCAA. Thanks for the info on all the verbage b/t The University and the NCAA. At least they are not taking it lying down, but I do sort of wish they’d called out U$C in their rebuttall.